The artist was called Heddex. He was my favorite rapper. Here he was referring to the fact that he cannot ‘rise and shine’ for there are ‘no cameras pointing toward the valley of the dying stars.’ Heddex somehow stopped rapping, perhaps after convincing himself that he couldn’t make it as a rapper in this reality. Yet at the end of every five years when elections happen in Kenya, cameras of all shapes and sizes descend on Kibera, Mathare and other slums in Nairobi. They descend for a reason. The reason unfortunately is not to make the dying stars rise and shine. It was beautiful in a way during the recent elections to see residents rise up in arms against this vulture-reporting style. Well, vultures only descend whenever there is something dying or dead. In different parts of Kenya, as well as on social media, people spoke angrily against such irresponsible reporting. In Kibera for instance, the media (mostly foreign press) were virtually sent packing at one point by angry residents. They had to come around flying in choppers and snapping away from the clouds. Forget the disappointment of these folks. They are in business and we are living our lives. This is why we have our own cameras, and our own filmmakers and our own media: We believe that we have the responsibility to share with Kenyans and the world what is happening in some of the most misunderstood, often mis-reported and largely marginalized places in the country – the urban slums of Nairobi. We strongly believe that people have a right to speak for themselves and to write their own stories. Ordinary citizen reporters empowered with mapping skills navigate their neighborhoods to bring news and stories of happenings within the slums. Many years of misreporting and negative media have brutally condemned the residents of Nairobi slums to second hand category of citizenry who cannot even speak for themselves. This situation has contributed to huge stigma that for a long time has destroyed the self-esteem of young people struggling to make it in these neighborhoods – self-esteem being the most valuable ingredient in any human being’s progress. This is why Map Kibera Trust was formed — to empower residents in places like Kibera, Mathare and Mukuru – 3 of the biggest slums in Nairobi — to engage in citizen mapping as well as citizen reporting in their own neighborhoods. It is likely that many NGOs, agencies and individuals will – or may already have started talking about how they prevented violence. The truth is that most organizations had shut down operations in the slums days before the general elections. Many people had stocked a lot of food stuff and purchases for fear that shops would close. Many shops actually closed and prices hiked overnight in the few shops that remained open. The streets were mostly patrolled by a few residents and community leaders as well as uniformed policemen and intelligence personnel who were mostly in plain clothes. In this rather challenging situation, some organizations however could not pull out or shut down operations in these locations mainly because their beneficiaries, members and staff lived there, besides, they had set out in the first place to be there; open and operational at the worst possible moments, to help these communities go through the election period safe and if possible with a positive outlook and optimism. While a few organizations suspended their projects in the slums during the period, a few home-grown organizations regularly sat in meetings to discuss how to join hands in preparing for and tackling extraordinary eventualities. KCODA, Pamoja FM, Map Kibera, Kamukunji Pressure Group, CREAW, the Langata District Peace Committee, Community Policing groups and the office of the District Commissioner joined efforts to create a network called the Kibera Civic Watch Consortium, a body that would respond to and coordinate the community’s efforts to maintain peace and provide interventions where possible. Hotsun Foundation even managed to bring together a host of parliamentary candidates to the first parliamentary debate in Kibra ahead of the elections, which I moderated. 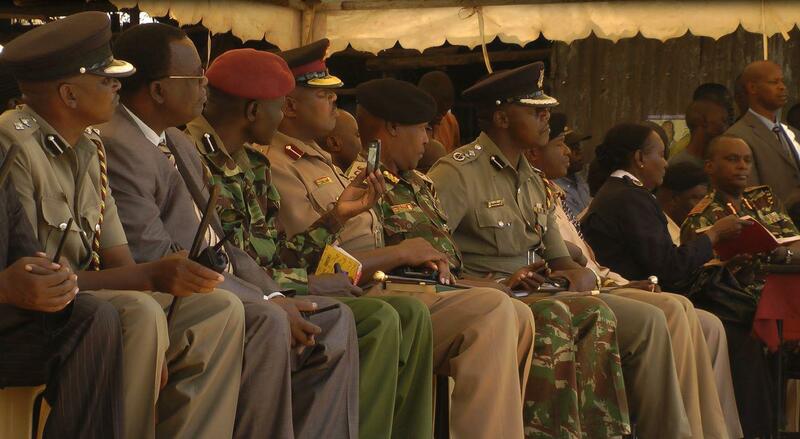 Influential opinion leaders held meetings with the police officials and candidates. Ahead of the elections, these local efforts even invited the Commissioner of Police himself to Kibera and Mathare slums to speak at the public security meetings. For the 2013 elections we had created election specific maps for Kibera and Mathare locations marking all the polling stations and ward boundaries and providing background information about each one. These maps were intended to help the different actors to understand the complex slum dynamics and even provide information on access to various points of interest. Ahead of the elections, we distributed these maps to several organizations including the police and security organs. (The first thing you will see inside the District Commissioner’s office in Kibera is the first and the latest Kibra constituency elections map made by Map Kibera Trust). In the constituency office of the District Committee there is our latest security map on the wall which the committee used regularly in monitoring security during the elections period. 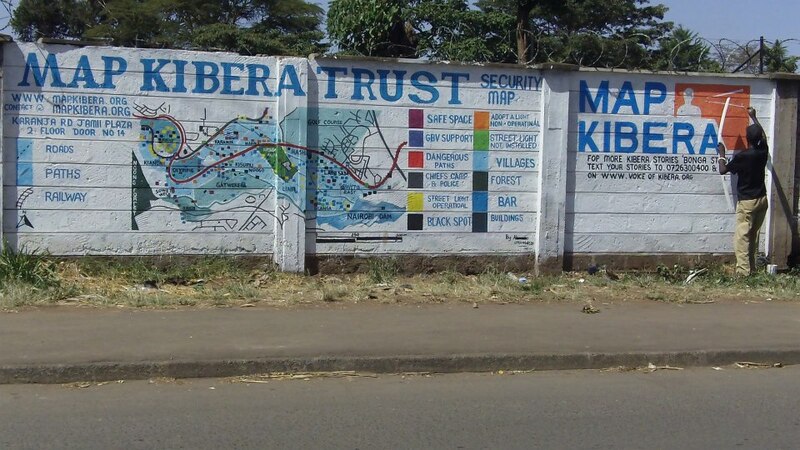 And as one drives or walks into Kibera through Kibera Drive, they will see a large wall-painting of the security map. This wall painting captures the attention of hundreds of residents and visitors daily. Another wall painting of the security map is at Darajani junction at Makina in Kibera. Next to these wall paintings of the maps, is the SMS number used for citizen reporting during the elections period. The background information on each polling station includes information on the nearest service providers, particularly the security and health service providers. Besides distributing the maps to the these important entities, we made presentations to them on the interpretation of the map, a overview especially of the security situation based on the security map. As well, we had partnered with several service providers who were on standby to act on any information. Most importantly we stationed our trained citizen reporters in each polling station to be relaying SMS news to our verification team to be verified and approved before being posted on our Voice of Kibera and Voice of Mathare websites. The Map Kibera verification team dealt with every information that came in, calling back and forth to establish the facts and figures about every report sent in. Our video teams rushed to scenes, most of which were not known or easily accessed by the mainstream or foreign press to capture instant news which they edited and uploaded on Youtube. Members also took photos and posted them to our blogs and Facebook group. In this verification process, the team succeeded in dismissing several false alarms, wrong information and propaganda for violence. In addition and in response, security organs and emergency service providers enhanced their presence in these areas highly reducing chances of violence. 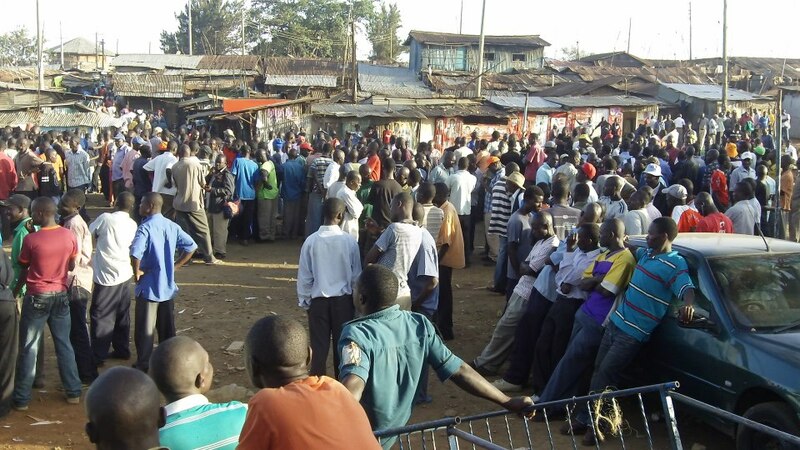 In one instance, when many reports were sent about youth gathering around in groups in one area of Kibera, after several phone calls with the security organs, the Police Commissioner authorized a chopper to fly around conducting a security check, the crowds soon dispersed and calm returned. 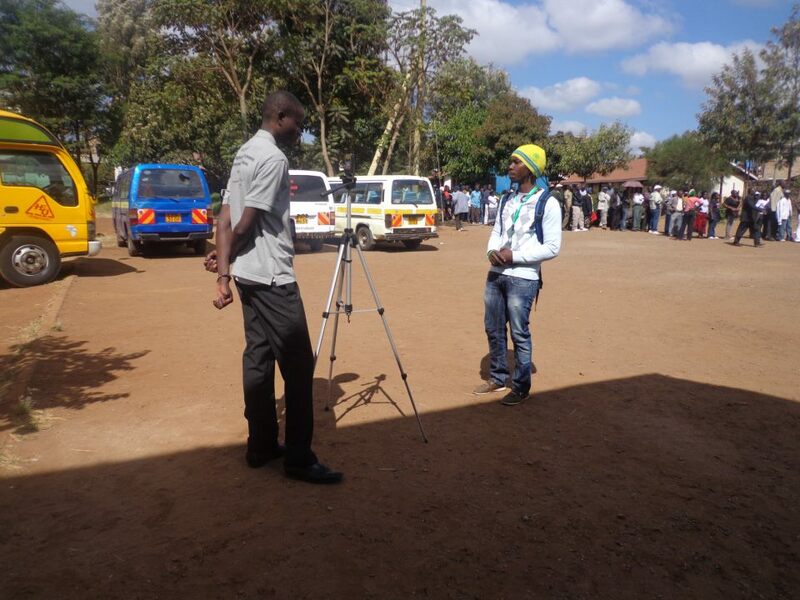 In Mathare, there was a tense moment at St Teresa’s tallying centre when a candidate attempted to reject the results. This situation was inflamed by some people who claimed that violence had broken out and who were sending text messages around. We quickly checked this information working with our reporters on site and finally dismissed these claims as sensational and not worth raising an alarm. 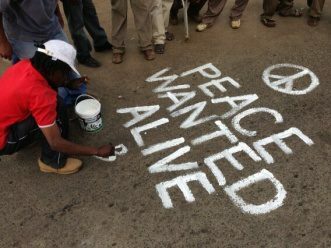 Intense is what I would call the activities of Map Kibera teams on the Election Day. At the end of it, we were glad that due to the joint effort of close to 50 election monitors and citizen reporters in the project locations, our effort likely contributed to the suppression of violence and prevention of escalating election conflicts. We did not switch to our Plan B (Emergency) or Plan C (Crisis and humanitarian intervention) plans. Particularly our partnership with the Uchaguzi project and Ushahidi ensured that our teams had a great complementary workspace at the iHub, which helped our team members have a easy time and counter the technical hitches with ease. In turn we contributed reports coming into our sites back to Uchaguzi and helped instantly verify any of their reports coming from the slums. We worked together sometimes till a late as 1 am verifying reports and monitoring trends of the elections. This article was first published by Kepha Ngito on www.mapkibera.org (21st March 2013). 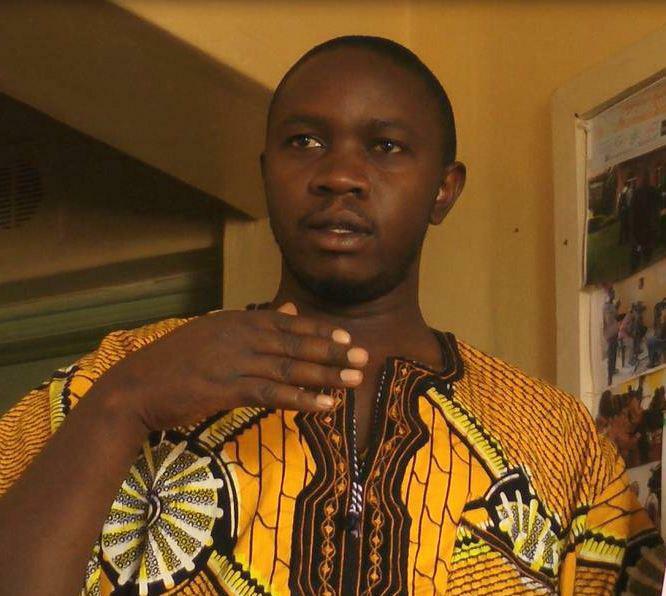 Mr. Kepha Ngito is Founding Trustee and Executive Director of Map Kibera Trust.